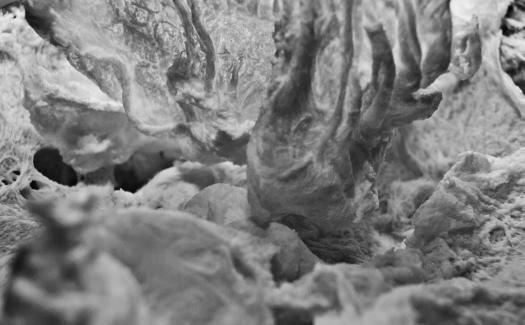 Abstract view of Ivory soap after being in microwave. Ivory soap after being heated in a microwave in my kitchen. Please acknowledge © Renee Miskell, all rights reserved.